Silver Zones have been introduced in selected residential areas to enhance road safety for the elderly. Silver Zones will also reduce speed limit to 40km/h. What are the Silver Zone features? 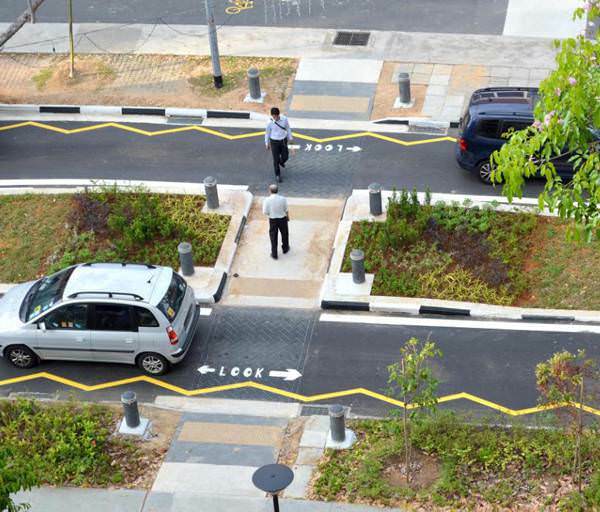 There will be ‘rest points’ for the elderly on the road divider, so they can cross the road in two stages. Cars entering Silver Zones will see signs informing them that they are in the special zone, along with three rumble strips on the road, so they will slow down. Speed limits in Silver Zones will be reduced to 40kmh wherever possible. Other traffic features aimed at slowing down traffic, like chicanes - gentle curves along sections of roads - and lanes with reduced width have also been installed to ensure that cars do not speed along these roads. 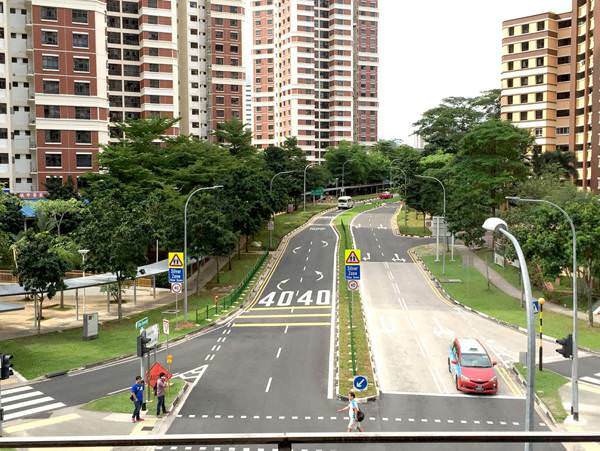 Eight Silver Zones — Bedok, Bukit Merah View, Jurong West Street 52, Lengkok Bahru, Marine Crescent, Tampines, Woodlands and Yishun—are completed. There will be 50 Silver Zones by 2023. Silver Zones are areas with enhanced road safety measures such as new signs, road features and markings to change the character of the street, making it safe and more convenient for senior pedestrians to cross the road. This is achieved by reducing speed limits and narrowing roads to lower vehicle speeds, as well as guiding pedestrians to specific crossing points. Silver Zones are found in selected housing estates with high senior populations, relatively higher accident rates involving seniors and proximity to senior amenities.